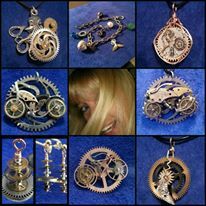 Watch “chaordic wearables at RAW:Boulder Awakening 02/26/2014” on YouTube – Chaordicwear – Up-cycled, One-of-a-kind, Handmade Jewelry you can Wear everyday! Making Order out of Chaos! Ok, here is me 😉 I was so nervous. I don’t do well in front of cameras, especially movie cameras. Amazing night. I had so much fun. Everyone I met was absolutely amazing. Such great energy to be a part of.